ILR Season 5 - AMERICAS League - SIGN UP NOW! 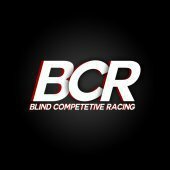 [PC] F1 2018/2019 - FRL Season 1 : 2nd Commentator Needed! One Hub Racing - Season 13 Sign Up NOW - PS4 [FRIDAY NIGHTS] Join Today! F1-Game-Liga startet in neue Saison! RLH - F1 SEASON 4 2018 PS4 league, for europeans!